Sikhs around the world are planning to plant a million new trees as a ‘gift to the entire planet’. The scheme, titled the Million Tree Project, is being coordinated by Washington DC-based environmental organisation EcoSikh, and is taking place as part of celebrations marking 550 years since the birth of the founder of Sikhism, Guru Nanak. The project aims to reverse environmental decline and help people reconnect with nature, and since it was launched last month tens of thousands of trees have already been planted as members of the community embark on the challenge. The Good News Network report volunteers are working with environmental specialists in order to plant 1,820 forests around the world. Each forest is set to contain several hundred shrubs and trees which will be made up of species native to that particular area. As the majority of the world’s Sikh population lives in the state of Punjab, every village in the state has committed to planting 550 saplings. However trees are also popping up in the UK, US, Australia and Kenya. According to The Guardian, Rajwant Singh, president of EcoSikh, explained he wanted to celebrate the anniversary in a significant way. Guru Nanak was a nature lover. [He] had talked about nature as a manifestation of God and many of his writings talk about how we need to learn lessons of life from nature. He added how the project would broadly be seen as a ‘gift to the entire planet’, and that he hoped the project would motivate Sikhs, especially the younger members of the religion, to improve their relationship with nature. 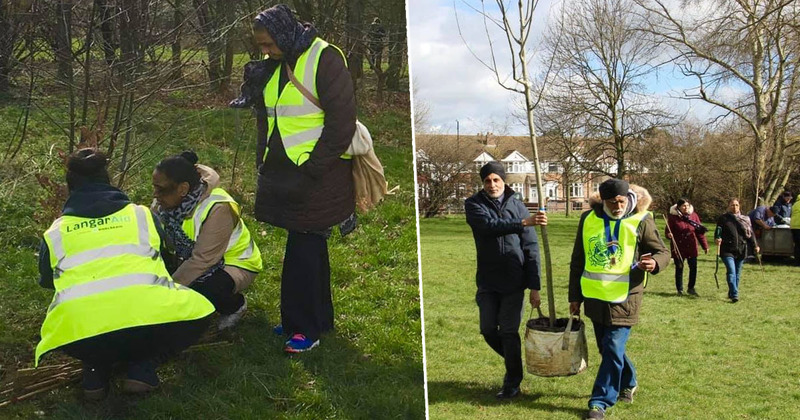 Sikh Union Coventry has started introducing native trees, shrubs and flowers at Longford Park, and is also exploring locations in schools, parks and recreation areas, The Guardian report. As Sikhs, our connection to the environment is an integral part of our faith and identity. Future generations will benefit from the fruits of our labour, symbolising peace, friendships and continuity for generations to come. Singh believes the Million Tree Project will be complete by Guru Nanak’s birthday, in November. What an amazing way to honour the anniversary!